Fall in love with this adorable cottage, just off Main Street and only a few minutes from downtown Weaverville. With a separate guest house/ garage apartment, the opportunities are endless. Huge fenced in yard covers the span of both houses, cheerful patio on main house and wrap-around deck on guesthouse. Lovingly cared for, this 1920s bungalow has fresh paint and a newer master bathroom, split bedroom plan, and spacious living and dining areas. Guesthouse has a bonus room and large kitchen. Directions: 240 to 26W to Weaver Blvd, Right on Weaver Blvd, Left on Main Street, Right on Coleman, Left on Chestnut. The All Star Team does it again. 11 offers and under contract in the first week. If you are considering selling your home call us today! 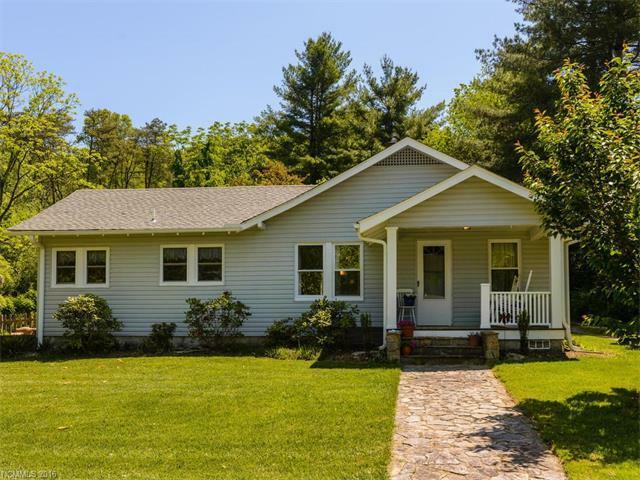 Awesome home that's walkable to downtown Weaverville. Extra cabin makes this the deal of the day! This is a very special property close to downtown Weaverville. Live in the main house and rent out the cabin! Beautiful home with such character, and perfect location! Great bungalow, it super convenient location. Almost 1/2 acre and a separate guest house for possible rental income. Chek it out! Wow! Best of both worlds...walk to downtown Weaverville and 2nd house to rent. 11 Offers. WOW!!! This is amazing. Great investment property and with convenient access to downtown Weaverville! 2 Houses for the price of 1, and they have both been so well maintained! Fall in love with this adorable cottage, just off Main Street and only a few minutes from downtown Weaverville. This cute bungalow has so much to offer. With its proximity to Asheville, fenced in yard, and guest house, this property will not last long. I LOVE this home and the rental potential of the guest cottage. Not surprised it sold so quickly!